Bibliotheca Philosophica Hermetica: More than 23.000 books in the fields of Alchemy, Hermetica, Cabala, Magic, Rosicrucianism, Mystic, Freemasonry, Pansophy and much more. Watch legendary first editions, rare books and manuscripts like the famous Fama Fraternitatis, Corpus Hermeticum, Tabula Smaragdina, Atalanta Fugiens, Spaccio della bestia trionfante, Plontin Polyglot Bible and discover incredible works of authors like Basilius Valentinus, Marsilio Ficino, Johannes Reuchlin, Heinrich Cornelius Agrippa, Paracelsus, Giordano Bruno, Heinrich Khunrath, Michael Maier, Jacob Böhme, Lambspring, Robert Fludd, Baruch Spinoza, Matthäus Merian and S. Michelspacher. 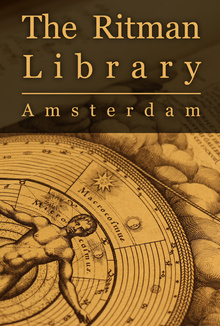 Learn more about the Ritman Library featuring wonderful stories and anecdotes of Joost Ritman, Esther Ritman, Cis van Heertum, José Bouman and Dr. Marco Pasi. Do you like this documentary? Leave us a comment on IMDb. Thank you!